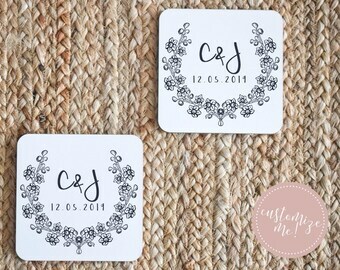 Announcement WELCOME to the lovely Darling Coaster Co X AllyBeth Design Co collection! All orders are handcrafted on demand, so please allow 2-3 weeks for completion and shipping. 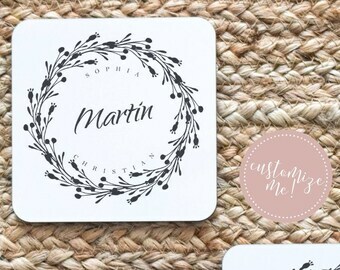 Customization is available on all orders, so please do not hesitate to ask! 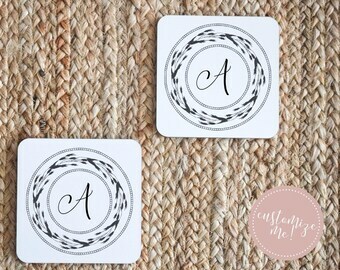 WELCOME to the lovely Darling Coaster Co X AllyBeth Design Co collection! 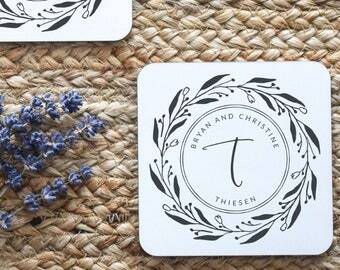 The couple loves the coasters. But they never put a gift message to them so they had no idea who it was from til i asked if they received them. 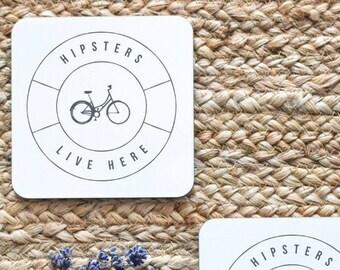 Perfect for those bike riding millennials in your life! 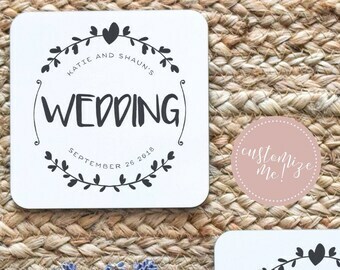 Like most fairy tale stories, our story starts with a wedding! When my husband and I were getting married back in 2013 (my how the time has flown!) 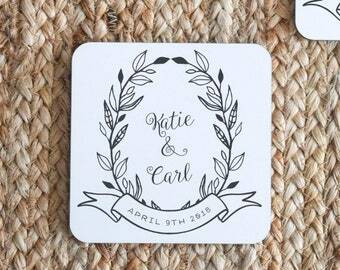 it was really important to me that we incorporate things in our wedding that we could also use at home after the wedding was over. 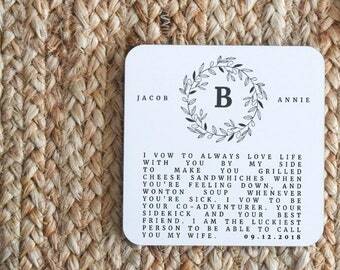 I wanted to have little pieces of our big day surrounding us in our everyday life. That, and it was really hard for me to justify spending money one things that we would only use once. 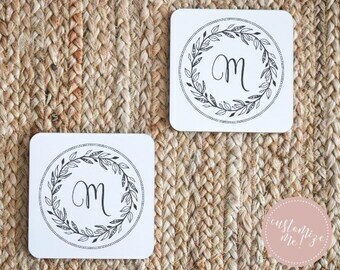 So our first Etsy shop, AllyBeth Design Co was born! 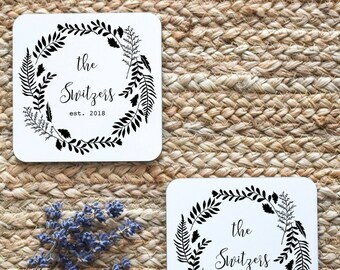 As the shop grew, so did my love for graphic design, and I started developing more and more designs that I knew one day would be destined for coasters. 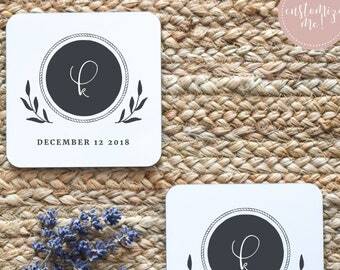 In the fall of 2018, I decided to take the leap and open this shop as well, and I've been having a blast! 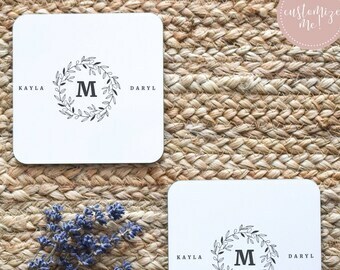 As I write this, we have 35 coaster designs available, all of which are fully customizable. I'm sure my ideas will continue to run wild, and we will have many more to choose from in the near future! 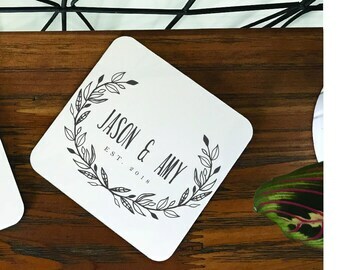 They make excellent wedding gifts, housewarming gifts, and even Christmas gifts. 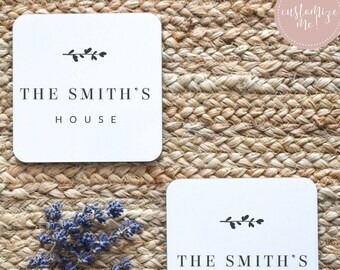 They can be made to be suitable for a single person or bachelor pad if needed! In fact, we've even made ones for roommates as well! 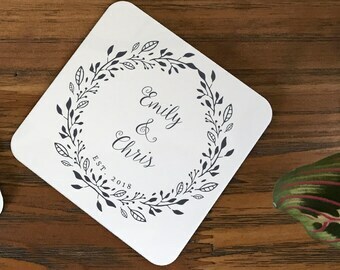 Thank you so much for stopping by our little corner of Etsy, and please let me know if there is anything special we can create for you! Hi!! I'm Shannon and am usually the one woman show behind all this goodness. I'm probably over here making your goodies while drinking a London Fog and watching reruns of Dawson's Creek and Gilmore Girls. I think I'm living my best life! 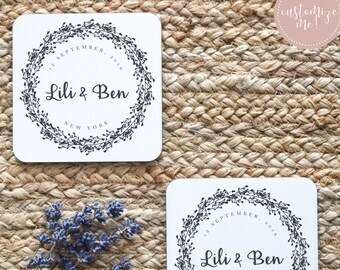 These guys do our special coaster printing to ensure you get the best product possible for YOU! 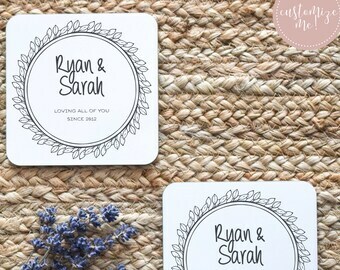 To fulfill your order, you must provide us with certain information (which you authorized Etsy to provide to us), such as your name, email address, postal address, payment information, the details of the product that you’re ordering and other personal information needed to fulfill your order. 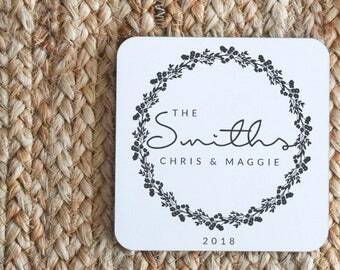 You may also choose to provide us with additional personal information (for a custom order for example), if you contact us directly. Compliance with laws. We may collect, use, retain, and share your information if we have a good faith belief that it is reasonably necessary to: (a) respond to legal process or to government requests; (b) enforce my agreements, terms and policies; (c) prevent, investigate, and address fraud and other illegal activity, security, or technical issues; or (d) protect the rights, property, and safety of our customers, or others. 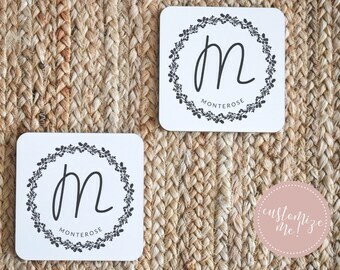 Do You Customize Your Coasters? 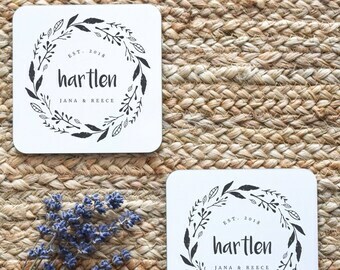 It's the main reason we wanted to start making something as unique as coasters. 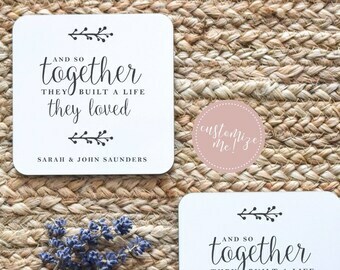 It's an affordable gift to give to people you love, and it means so much! 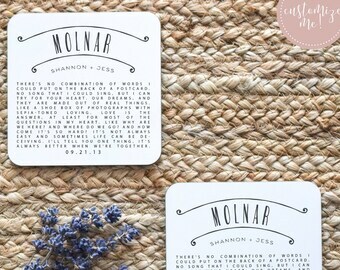 Our favorites are our vow + lyric custom coasters, because they make people cry. The happy kind of course. 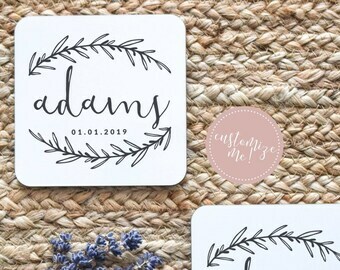 Let us know how we can make that special gift perfect for you! 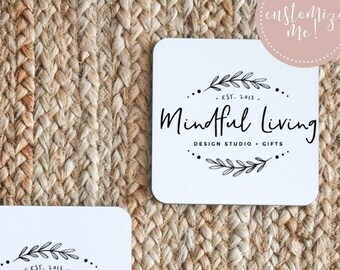 I Love Your Designs - Do You Wholesale Them? 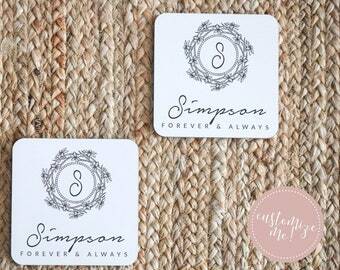 Of course, not the personalized versions, but we have a wide range of generic coasters that make the best gifts. However, we don't prepackage them into sets, since most of our retailers like to offer customer the option of buying exactly the amount they need. They display nicely in decorative boxes or propped up in rows on shelves or as part of your display. 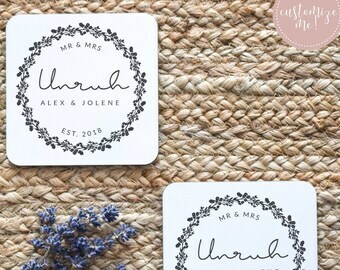 If you are interesting carrying our designs in your shop, please message us here or send us a message at wholesale@allybethdesignco.com! 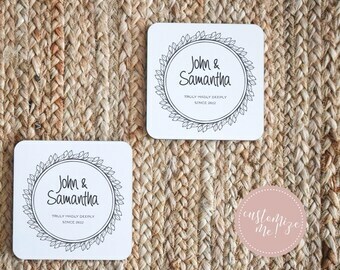 All of our coasters are made with durable acrylic and backed with cork material so they don't slide. What this means for you? You are safe to wipe them down as much (or as little) as you'd like! Just don't fully submerge them in water for extended period of time, since the cork may dislike that.